Mt. 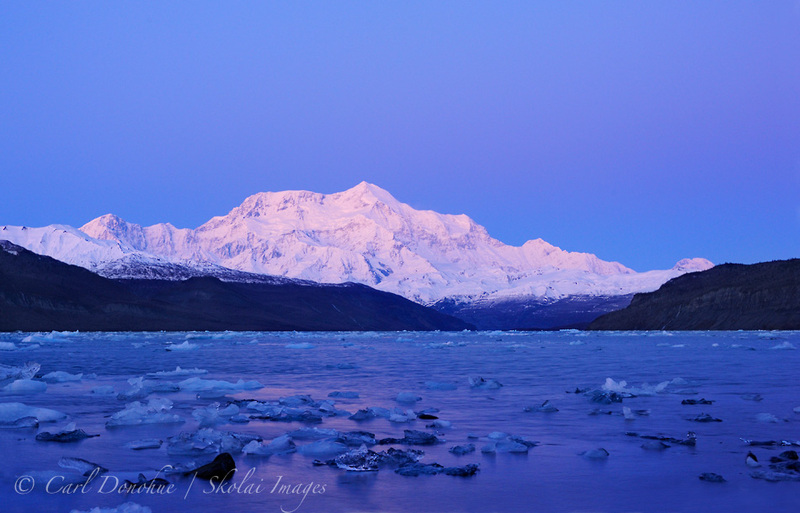 St. Elias Photo, Icy Bay photo, Wrangell St. Elias National Park. Mt. St. Elias, and Icy Bay, Wrangell - St. Elias National Park and Preserve, Alaska. After the sunset, the sky catches the earth’s shadow and turns an amazingly radiant blue. Everything glows. And I stare, stare at Mt. St. Elias, the biting evening air somehow far away. The mountain owns me. The sky dims and darkens, and the freezing night air chills me to the core. A shore walk back to camp, with a smile; the mountain is with me still. Thanks so much, man, I appreciate it. The shadow over a massive mountain is one of my favorite vistas. Posted on Monday, December 19th, 2011. This epic photo was taken by Carl Donohue.